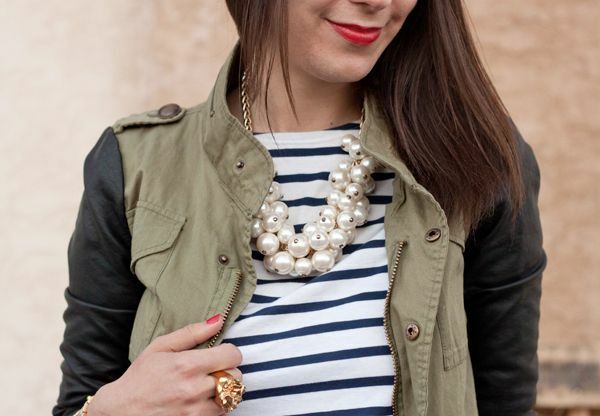 Sometimes a girl has to switch things up, and for me, that meant smacking a military-inspired jacket ("army") with a little nautical stripe action ("navy"). Another good way to switch things up is with a new handbag (*ahem*) which in my experience is the greatest of ways to feel shiny and new again... But in the interest of not getting into (more) trouble with the finance, I'll just leave it at that (but seriously, eeeeeek!!!). 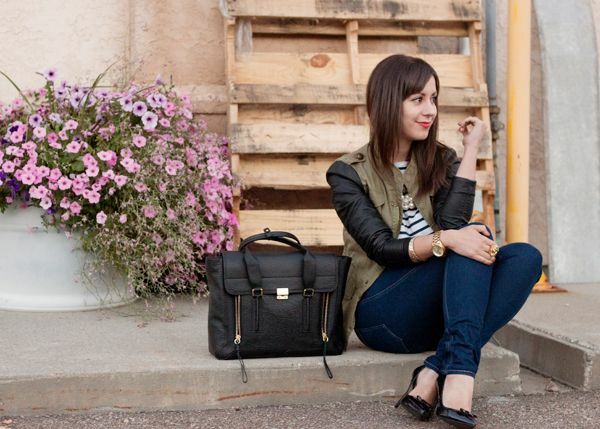 Love how effortlessly chic this is! And the jacket.. I need it! 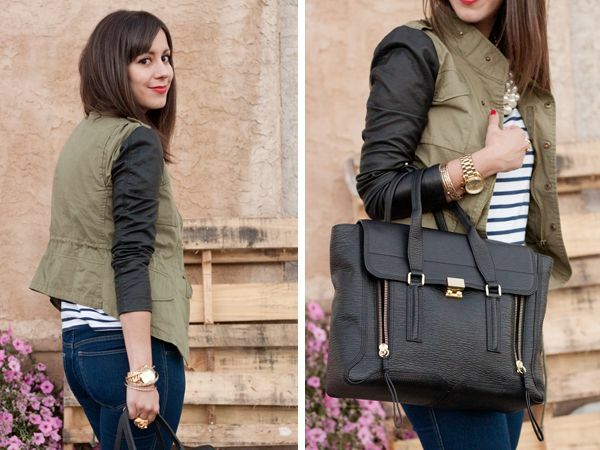 That jacket is fab and perfect to shake things a bit, and speaking of that, that fabulous bag shacked me, love it! 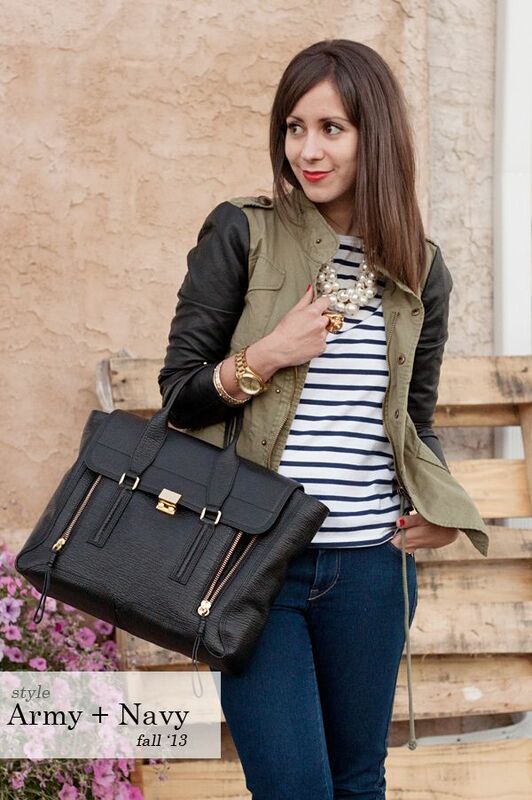 Great look :) Love the jacket! That jacket! That bag! !!!!!! Wohoo! I am excited for the weekend! And jelly of that bag & jacket!!! 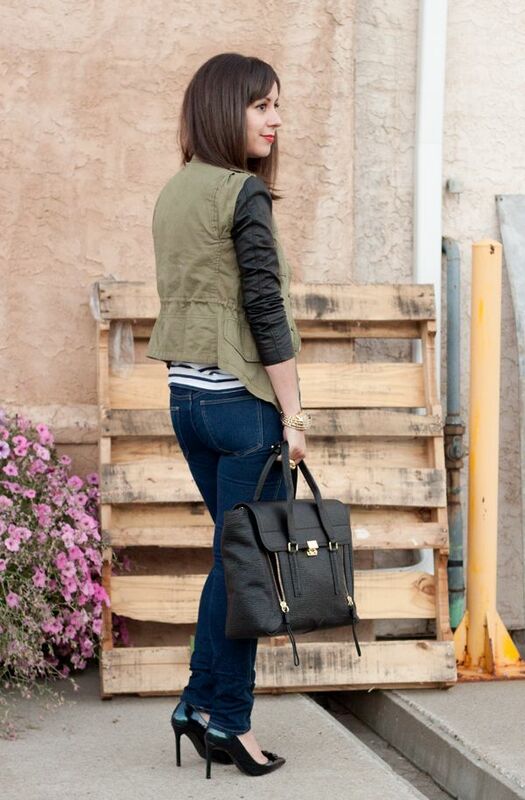 gorgeous look - casual chic at its finest! 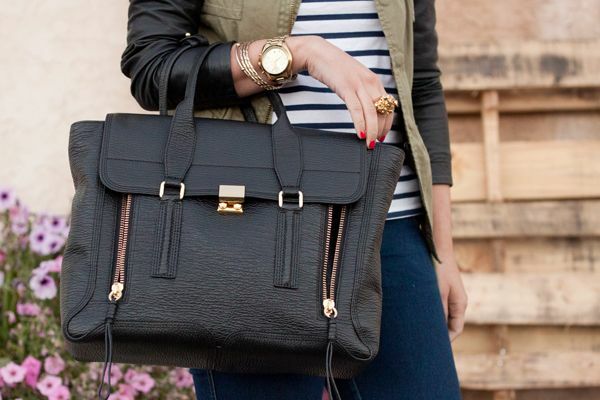 And that bag... swoon!